Cars and music both hold a special place in the American cultural landscape; the songs we listen to, like the vehicles we drive, speak to our values and identity, our desires and our aspirations. As lovers of both all things automotive and all things melodic, we have a soft spot for car songs, those magical compositions that manage to translate the freedom of the open road into chords and lyrics. As one of the oldest (and most important) companies in automotive history, Ford has seen its fair share of songwriting fanfare. Here are three of our favorites from over half a century of blue-oval inspired ballads. 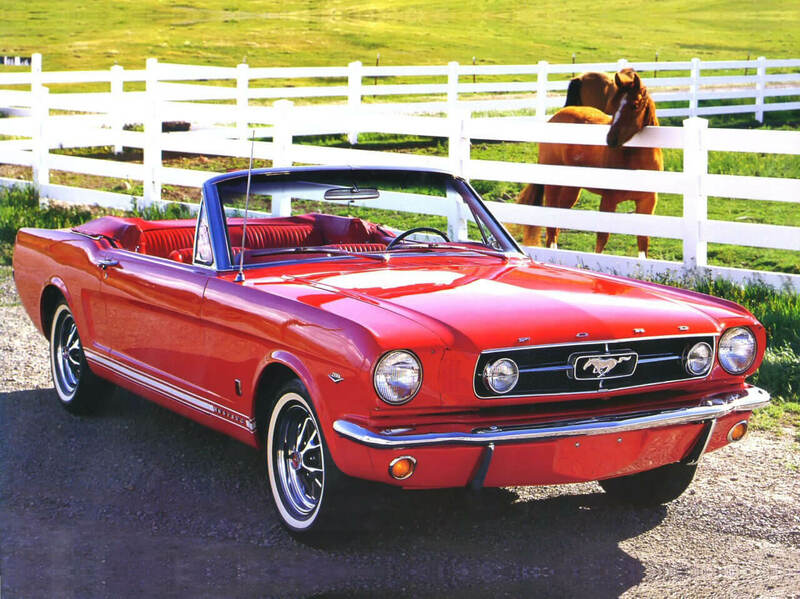 There are few more iconic automotive songs than Mustang Sally, an ode to a young woman with a fast car. Although Wilson Pickett made the song the stuff of legend (and secured it a place on every oldies cover band’s set-list,) it was originally written by Detroit musician Mack Price, who wrote it after being surprised by the excitement over the introduction of Ford’s iconic pony car. Originally titled “Mustang Mama,” legend has it that none other than Aretha Franklin herself suggested “Mustang Sally” as a better title. While the song’s singer wants Sally to slow down and spend time with him, his plaintive tone suggests that she prefers the company of her Mustang. It’s been said that the 1932 Ford Model 18, commonly referred to as the “Deuce Coupe” after its model year, is Beach Boys legend Brian Wilson’s favorite car. If that’s the case, he certainly isn’t alone; the Model 18 had the historic distinction of being the first affordable car with a V8 engine, which set the stage for the V8’s role as America’s engine of choice. Little Deuce Coupe is pretty straight-forward lyrically: the singer loves his car, and is eager to explain to you why it could beat just about anyone in a race. Incidentally, Little Deuce Coupe comes from an album of the same name that is more or less all about cars: Little Deuce Coupe, 409, Shut Down – many of the Beach Boys’ best car songs are all on the same record, and they even recorded a Christmas song about Santa Claus’ car (Little Saint Nick) during the same session. Unlike the first two songs on our list, The Eagles’ Take It Easy only mentions a Ford truck once, but it’s arguably the most-shoutable line from a great song about the joys of the open road. “Don’t let the sound of your own wheels drive you crazy,” Glenn Frey sings, talking less about the car he’s driving than the concerns he’s driving away from. The first verse sees the narrator “runnin’ down the road,” but the second verse finds him “standing on a corner in Winslow, Arizona, and such a fine sight to see: it’s a girl, my lord, in a flat-bed Ford, slowing down to take a look at me.” It doesn’t sound like our intrepid truck-driving Arizonan is able to get the narrator to settle down, but her brief cameo might be the best Ford name-drop in popular music. Those are three of our favorite Ford songs; what car songs have a way of getting you amped for a road trip?